I've always hated seeing any sort of waste. 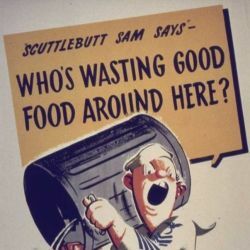 This is probably because my parents were brought up during the Second World War and at that time, avoiding waste was a big issue and making the most of every scrap of meat, vegetables and fish was very important to the war effort. A report that was recently released has revealed that between thirty and fifty percent of the consumer edibles produced globally is wasted.Can you imagine? The report also blames supermarket sales promotions - such as 'buy one get one free' - because they encourage consumers to buy more products than they need.But we can't lay the blame on others - the report says that up to half the groceries bought by consumers in Europe and the USA is thrown away. 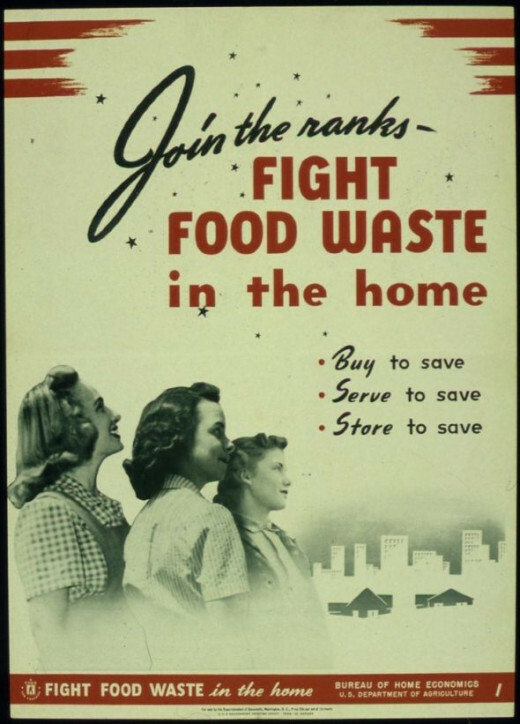 During wartime, governments ran huge campaigns to encourage the population to fight every type of waste. This wasn't just during WW2, there were extensive campaigns in the First World War too.That's a hundred years ago. Why are we still wasting so much today? Visiting Martian: I see that many people on your planet don't have enough to eat and that people are dying of starvation. Visiting Martian: (Speaks into Martian cell phone) Xseta my dear, are you there? Please mark Planet Earth as uncivilized and please put dinner on, I'll be back shortly. Here's another scenario. Imagine that you're in line at the grocery store. The man in front of you pays for his purchases - about $100. Everyone around you stops what they are doing and watches the man burning his money. The grocery store girl quickly calls for a supervisor. "Please come to resister number three - there's a man burning money, a crazy man..."
But is he crazy? You see, that's what we're doing every time we shop for our meals and cooking ingredients - wasting as much money as we spend.And it's not just money. Think about the emissions created, the packaging required, the man-hours spent ... yes, I think the Martian was right, don't you? But I believe that part of our problem is that we're often not really aware of the things we're wasting.This is why I have decided to keep a waste journal for the next few weeks. Why didn't I use that up? I hope that this experiment will work and make me more aware of the purchases I've made that I'm wasting.I might have a strange sort of logic but I'm thinking about that fictitious man burning a hundred dollar bill in the supermarket. If we throw away half the edible goods we buy, doesn't that mean that by avoiding wasting it we can cut our grocery bill in half? Learn more about storage and avoiding waste. It might be the age of the internet but there's nothing like good advice from specialist books. This problem is harmful to the entire planet. Read more about this important subject. 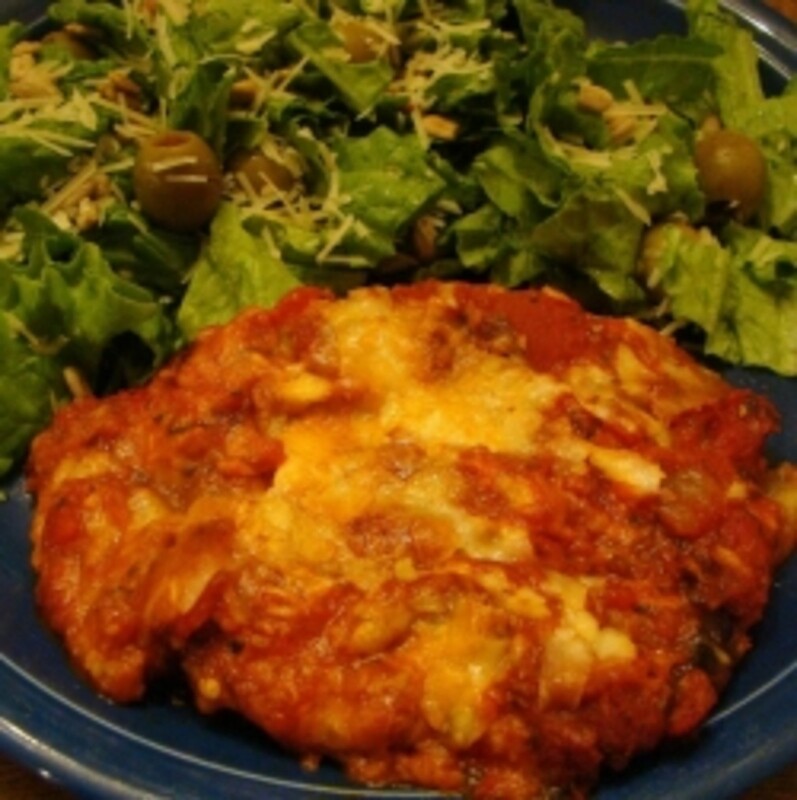 See this article about making do and mend. 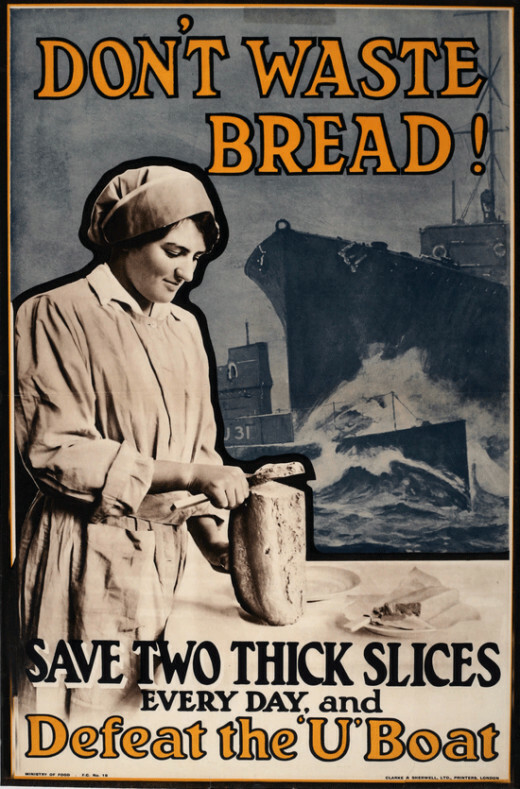 Home and lifestyle tips from the Second World War. 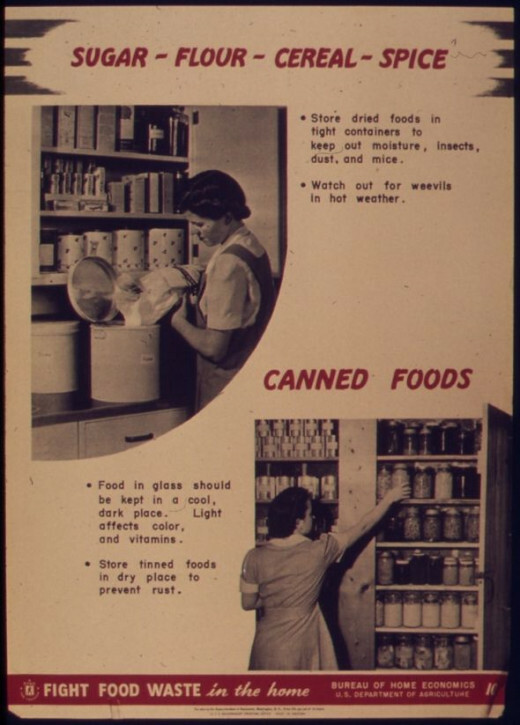 With rationing and most goods being in short supply, people had to recycle, reuse and repurpose. They also had to save resources - good advice today. Don't waste a single crumb! We have almost no food waste thanks to careful shopping, cooking, and eating. It's possible. And it's important. @BritFlorida: That's such a shame. I helped create a little guerrilla garden at an apartment block in the Detroit suburbs, with just tomatoes and a few herbs. I think the only reason we got away with it was that we were English and therefore clearly insane. We invited everyone to help themselves to the produce - I think that was a step too far, creating a socialist garden under the air conditioning outlet. I just peed my pants laughing!!! @orange3 lm: It's really a shame that more people don't have the facility to do that. I'm thinking about people who don't have gardens such as people who live in apartments. I had to have quite a battle with our condo board just to have herbs growing in pots outside my back door. They like nice 'manicured' gardens and would be horrified at the thought of compost. I would love to have an urban garden here but I know that the idea would be immediately denied. @shellys-space: I didn't know that - that's not good at all and it makes no sense. What a crazy waste of food. One thing that really bugs me in the "Public Schools" is that children can not share food they do not want to eat. Not even the unopened milk! 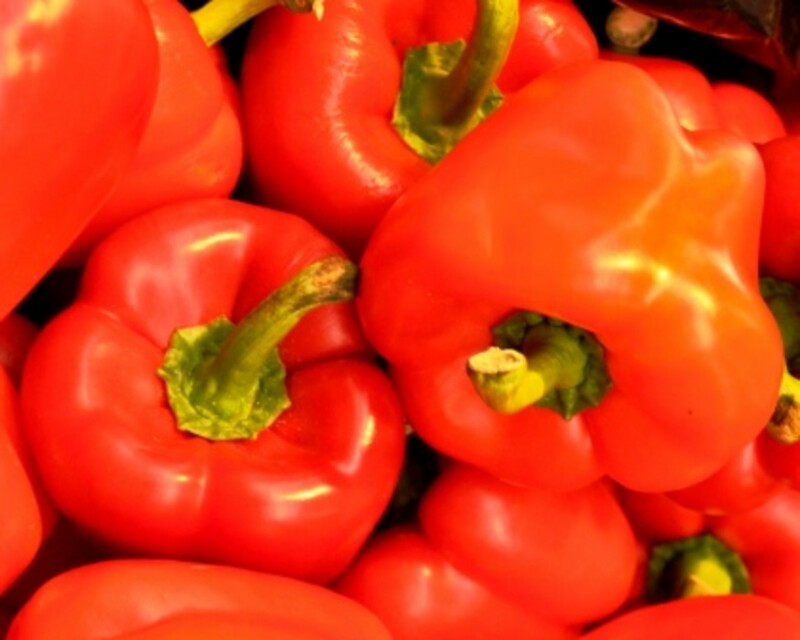 Guess where most of the unwanted food ends up? The garbage can. Bummer. @AdriatiX: Good for him :)It does seem crazy to throw away so much food. @Aibrean82: It's terrible isn't it? Especially when so many people are without enough food. I'm amazed that more isn't done about it. 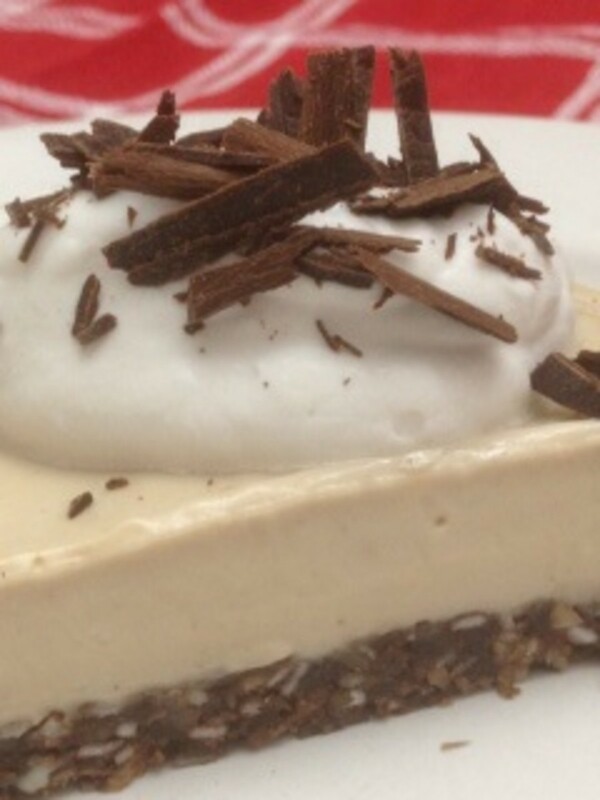 @whats4dinner: Thank you so much! 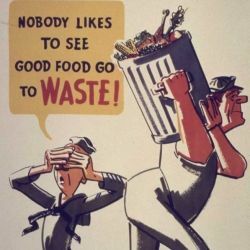 Yes, the amount of food wasted is such a problem today. Scary really. Great job with this lens. I think we all ought to start conserving food. Blessings! @anonymous: What a lovely comment - thank you! @anonymous: And yet in other parts of the world, it is so precious. Everything is so unbalanced. Thanks for commenting! I love the topics you pick for your lenses, makes me stop and think about what's really important. Nice job! Yes, we are a wasteful nation. When much is plentiful, it's easy to throw away. We tend to keep what is precious. So when food becomes precious, we will waste less. @MarcellaCarlton: Thank you very much, Marcella. You have brought attention to an all to common problem. I love the photos. Good job! @Phillyfreeze: That's a wonderful idea. I hope that other areas copy it and do the same. In my community we have Dare to Care food program that partners with local restaurants that donate food which is re-distributed to local shelters on a daily basis.